These USB-powered, deck-of-card-sized Linux servers from BlackDog look pretty cool. I'm not sure what I'd do with one, but I want it anyway. The Web site's down until Aug 8th, but they had an ad in Make magazine. Dan Bricklin has released a beta of the new version of ListGarden, his small tool for creating RSS feeds. Dan's old version didn't support enclosures, a problem in this podcasting world. I had written a patch to add enclosures for the old version, but this was far from ideal, judging from the number of questions I got from people asking how a patch worked. Some even tried to apply the patch by hand--not a fun way to spend an evening. The LA Times has a response to Sen Clinton over her call for a study of the effect of playing video games on children. TechNation has a great interview with Henry Jenkins on this very subject at IT Conversations. I'll admit to having worried about the amount of time that my kids seem to spend on video games, but Jenkins makes a good case. Google's personalized homepage with RSS feeds If you haven't been paying attention, you might have not have noticed Google's personalized homepage and you'd have to really be paying attention to have noticed that yesterday, they added the ability to put RSS feeds on it. If you click the picture on the left, you'll see my personalized search page with Technometria and UtahPolitics.org on the left. These can be repositioned by merely dragging them around when you're in edit mode. We'll be doing a BOF on Internet Identity (or grassroots identity, if you prefer) at OSCON Wednesday evening from 7:30-8:30. Feel free to attend. Dave Winer, founder of Userland and creator of Radio (not to mention Manila and Frontier), struck out on his own a while back. Now he's got a new tool that edits OPML. You're saying "What the heck is OPML?" Its an XML format for outlines (Dave's always been fond of outlines). What can you do with it? Blog for one thing. Zannen, it only works on Windows. Here's a dynamic list of things people are creating with it. Ann All of IT Business Edge interviewed me on why companies leak knowledge. I wrote about this subject in Connect Magazine as well: Your Company's Leaking Knowledge. Mike Kruckenberg, a friend with Utah connections, has just finished the book Pro MySQL and its shipping now. Congratulations Mike! I'm pleased to announce Planet Utah, an aggregation of blogs about Utah Politics. You can subscribe to its RSS feed, import its OPML into your favorite feed reader, or just come by and read. If you would like your feed included, please send an email to editor at utahpolitics.org that includes the name of your blog and the URL of your RSS feed. I prefer to keep this mostly about politics, for now, so if your Web site contains other items as well, please consider creating a category for politics and submitting the URL for just that category. July's CTO Breakfast will be at 8am this Friday. We'll be meeting in the usual place. The discussion is always interesting, so come join us. Doc Searls' latest SuitWatch features on interview with Tantek Celik on microformats. Less than a week after being told to update to 1.0.4 to patcha security hole in Firefox, the Mozilla Foundation released 1.0.5 to fix a bunch of security problems caused by 1.0.4. I hate upgrading Firefox because I always have to reinstall the Spell Checker extension because extensions are stored in the application directoy (at least on OS X). Ugh! One of the things that JotSpot opened my eyes to was the possibilities of backing wikis with a structured data repositories. Jeff Young wrote to point me at a project he's working on called WikiD, a "project (originally called MetaWiki) [that] leverages open standards, open source software, and existing resources to extend the Wiki model to support the creation and maintenance of structured data." There's a demo site if you'd like to play around with it. Steve Gillmor has a tongue-in-cheek story on the death of podcasting. I was helping a friend with a DNS issues today and logged into NameTech, the place where he bought his name. At the top of their page is a quote from Prof. Juan Gonzales at the Univ. of Delaware that says "By 2010, your personal domain name will be more important than your phone number." My reaction was "why will it take that long?" I don't know about you, but my domain name is already more important than my phone number. Yesterday, we talked about how identity theft, phishing, and other identity-related problems are hurting online commerce. Kim Cameron has posted some excerpts from a Wall Street Journal story that gives some surprising details about how identity problems affect people's behavior online. In short, the lack of a credible identity infrastructure for the Internet, threatens to arrest progress in electronic transactions and could very well ruin the net for anything of any sophistication. Even blogging is under attack. I've been getting hammered today with comment and trackback spam. Ugh! Why is it that most corporate Web sites are so hard to navigate? It might be because they're trying to be all things to all people. If you've got more than a few products helping customers buy or service those products means more than adding another layer to your hierarchy of menus. The best companies are creating adaptive, rule-based Web platforms that show the customer a Web flow specific to them. This article at Optimize Magazine discusses smart self service models. It's worth reading. Sun announced today that they're open sourcing their single sign-on solution. The code provides authentication, single domain SSO, with Web and J2EE agents. The web site is up and code will be available Q4, 2005. Jarrod Jasper of GM just told the story about an employee phone that was not deprovision when the employee left. The former employee decided to run a 900 number service through the phone. That one phone cost GM $50,000 per month--for 18 months--before it was shut down. Whoa! i-Names can now be used for single sign-on. There's even a WordPress module to allow i-name authenticated posting and commenting. Movabletype anyone? Then we'd have a cross-blog commenter authentication system. Kaliya Hamlin (aka Identity Woman) worries that emerging identity systems might be used by repressive regimes. Yesterday, I wrote about microformats here on my blog and also decided to do a piece about them for my September column in Connect magazine. As part of that effort, I created my own hCard. Click on the vCard link to see the information embedded in the HTML dynamically turned into vCard data. Cover for Digital Identity. 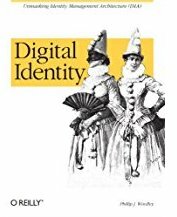 (click to enlarge) The cover for my book on Digital Identity is done. At first, I was lukewarm on the deisng, but it's really grown on me. The black mask is a good touch. 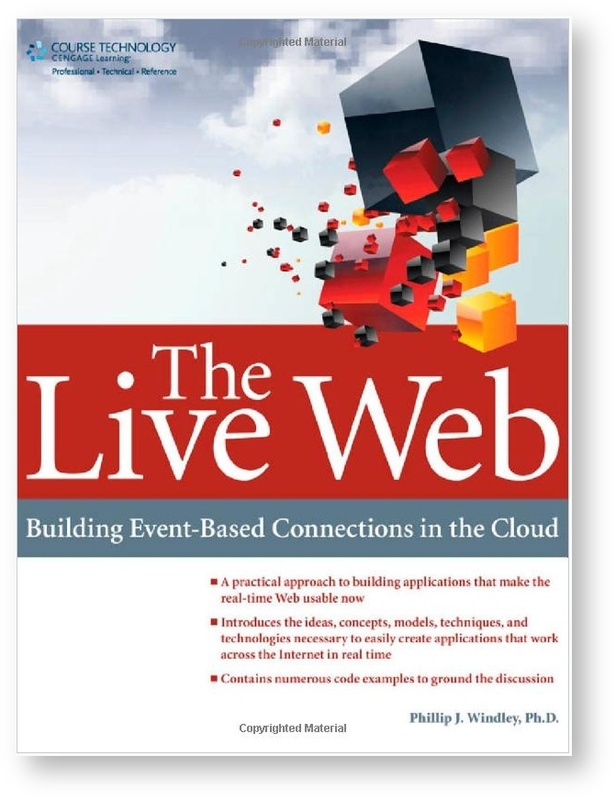 I especially like the tagline, "Unmasking Identity Management Architecture," in connection with the picture. The book is available now for pre-orders on Amazon. Buy a couple! Donovan Smoke's Flickr site has pictures of London after the subway bombings. You can also follow the Flickr tags for blasts and bombs to see more. Technorati is also showing ongoing activity on the Net surrounding the news of the London explosions. Kim Cameron, architect of InfoCard and author of the Laws of Digital Identity was interviewed by Channel 9. If you live in Rhode Island and want information on Board/Commission Memberships, Corporations, Elections, Lobbyist Registration, Rules and Regulations, or State Directories, you're in luck. The Rhode Island Secretary of State's office has just released GovTracker, a tool for getting any or all of this data as an RSS feed. The project is the brainchild of Jim Willis. I wrote a longer piece about GovTracker at Between the Lines. A St. Petersburg Florida man has been charged with unauthorized access to a computer network, a third-degree felony after he was caught using the Wi-Fi connection outside a 28-year old veterinarian's home.